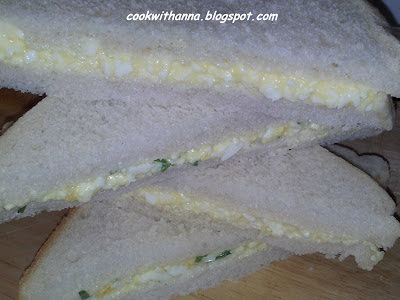 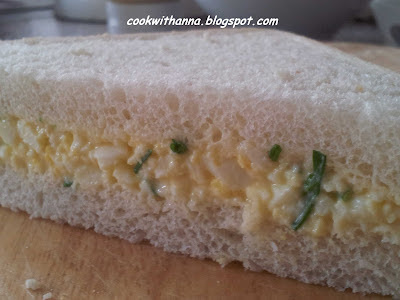 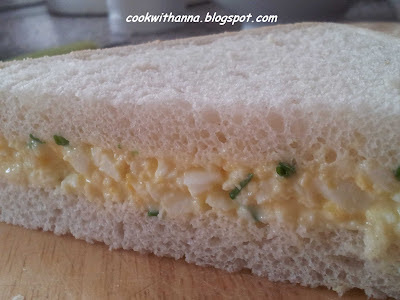 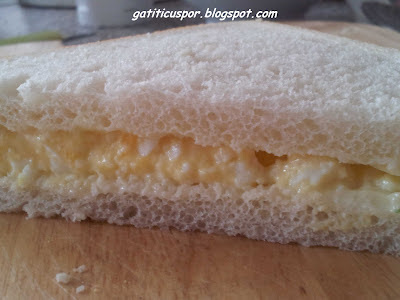 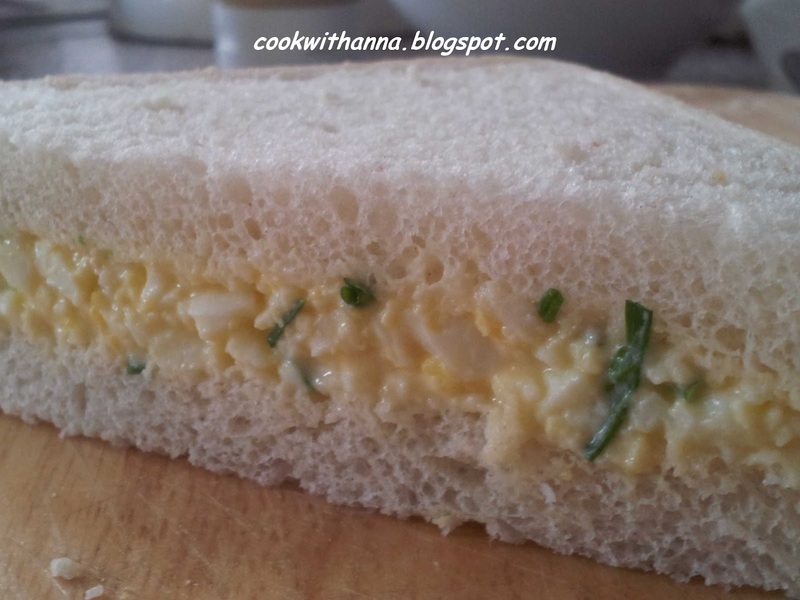 This sandwich is perfect for breakfast, snacks for a party, picnic, or in your child's lunchbox. 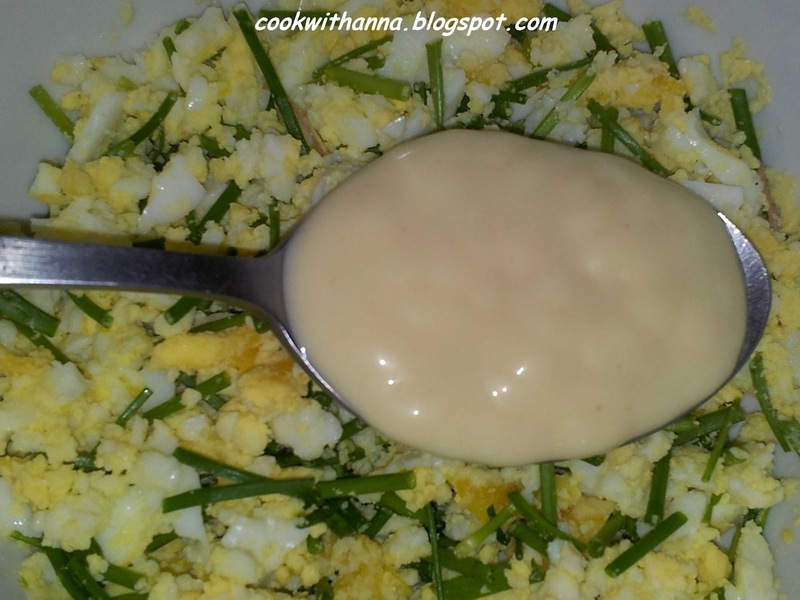 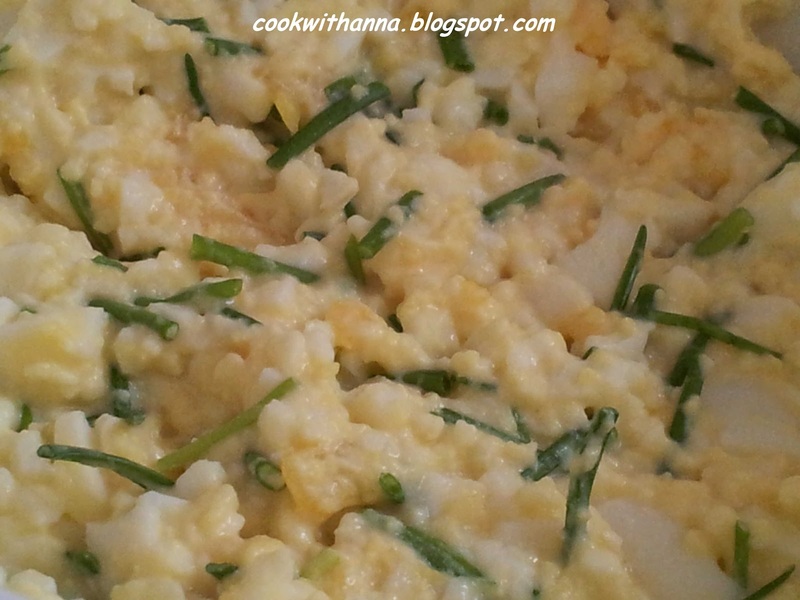 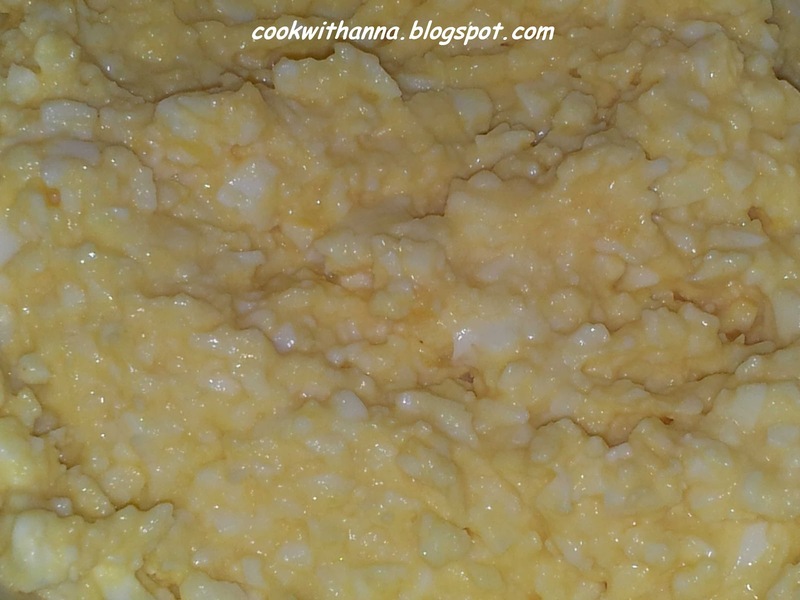 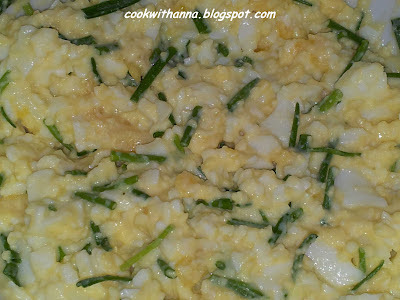 Boil the eggs, peel them and crush them with a fork in a bowl. I've split the mixture in half and one part I've mixed with the chopped chives half of the mayonnaise and a pinch of salt and pepper. To the other half I've added the rest of the mayonnaise and a pinch of salt. Instead of the chives you can add grilled bacon.